Here’s the scenario, you have a Malaysian driving license and you are a busy person. One fine day, you decided to look at your license, and it is going to expire soon. It’s time to get it renewed. Should you go to the post office, J.P.J. office or asked a friend to help you to renew the license? Malaysia is slowly but surely moving with the times. Some of the government services can be done through the internet. License renewal for example. 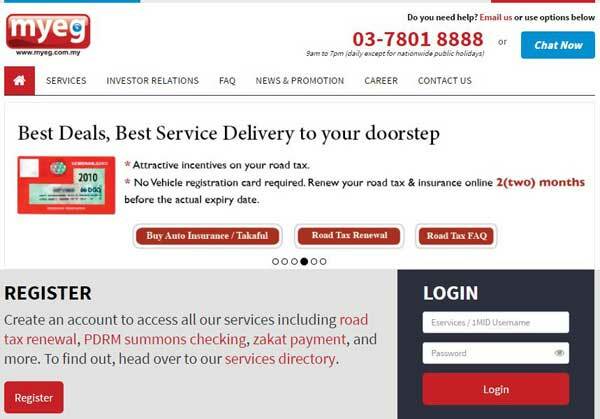 There is a portal call MyEG, owned by MyEG Services Berhad, where you can renew your driving license online. You can find them at http://www.myeg.com.my/. Kuala Lumpur City Hall or Dewan Bandaraya Kuala Lumpur – Assessment and compound payment. Jabatan Pengangkutan Jalan (JPJ) – Check your demerit points under the Sistem Keraja or The Demerit Point Award System. You can also do your summons enquiry, road tax renewal, LDL application, driving license renewal and temporary and permanent vehicle ownership transfer. Immigration Department of Malaysia – You can renew your Foreign Worker PL (KS) permit online and also maid working permit renewal. Royal Malaysian Police (PDRM) – You can check and pay for your police summonses. National Registration Department – For Jabatan Pendaftaran Negara (JPN), you can request for a replacement for your MyKad when it is lost, normal replacement or damaged / chip replacement. However, MyEG do not deliver MyKad. Instead have to personally proceed to the counter as chosen during the application to collect and verify your thumbprint. Zakat – You can do you assessment and payment of zakat on personal income, savings, shares, EPF, gold and zakat on business (company) on the MyEG portal. Malaysia Department of Insolvency (MDI) – For this service, you can check to identify the bankruptcy status of individuals and liquidation status of companies from the E-Insolvency Database. Surprisingly, some people do not know such service existed. Nonetheless, here are some Frequently Asked Question (FAQ) about MyEG services. 1) Do I need to register with MyEG for Driving License Renewal? Yes, however registration is fee. All you have to do is create an account by entering your personal details. A confirmation link will be sent to your email account. After you’ve click on the confirmation link, you account with MyEG will be live. 2) When is the effective date of my renewed license once I renew the license online? Your renewed license will be effective according to the expiry date as stated on your current license. 3) What vehicles classes does MyEG offer for the License Renewal? The common classes the portal process are D Class (for car) and B Classes (motorcycles). They also offer all Vehicle Classes Renewal from JPJ. 4) If I own a Probation Driving License. Can I renew my driving license at MyEG? For PDL holders, the license must be referred back to JPJ. MyEG only caters the renewal of Driving License services. 5) Can I apply for an International Driving Permit with MyEG Services? No, for the moment, you can’t apply an International Driving Permit (IDP) through MyEG. For more information on how to apply an IDP, click here. 6) How do I get the renewal slip? 7) How long does it take to get the renewal slip if I choose the Delivery method? The Renewal Slip will be delivered to your address within 5 working days. 8) How do I make payment for the online Driving License Renewal with MyEG? 9) What is the longest renewal period I can do with MyEG Services? The maximum renewal period to renew your license is 5 years. 10) What is the cost to renew the license? 11) Do I have to submit any photographs to renew the license online? No. MyEG do not require any photographs to be accompanied when you do your driving license renewal. The slip produced will be the same as you can obtain from the Post Office. 12) I tried to renew my license today because my license has expired today, but I can’t proceed for the renewal. Why? It is recommended for you to renew before or after the expiry date but NOT on your expiry date. This is because JPJ updates all expired licenses daily and your request will be rejected for renewal. 13) I haven’t renewed my license for 4 years and I plan to renew my license with MyEG Services. Can I proceed with the renewal? If you have not renewed your license for more than 3 years, you need to re-apply your license at J.P.J. Is it possible to renew your driving license at the post office? If you don’t feel comfortable using the online renewal services, by all means, head over to the nearest post office and get your driving license renewed. All POS Malaysia branches should have the license renewal system. Go there, get a ticket and wait for your turn. At the counter, present your identity card and your existing driving license. Tell the teller how many years you want to renew your license, make payment and then wait for your new license to be printed. The whole process takes literally 5 minutes! To be noted that MYEG does not do renewal of driving license since Jan 1, 2018 as the old laminated driving license is no more delivered (only the MyKad type driving license from now on). The following is the announcement from MYEG. The current laminated CDL renewal slip has ceased to be in service effective 1st January 2018. We look forward to serve you with the enhanced and improved version of Malaysia Driving License (LMM – Lesen Memandu Malaysia) soon. To get the renewal for the new type of driving license, you need to go to JPJ, not sure if you can do it in POS Malaysia offices yet. I am living in Australia.I am holding Malaysian p license valid until 22nd November. Is it possible to renew my license to full licence before the expiry date because with Malaysian full license i can drive in Australia. Could you please advise regarding this matter. Thank you. You have to wait til 22nd November before you can convert your “P” to C.D.L. (Competent Driver’s License). You have to send your “P” license back to Malaysia to get it converted. Ask your family member, friend or runner to help you with the conversion. I want to change my P to C.D.L, but the date of expiry is on 19Sept which fall on saturday and the rest of the day are RAYA. How can I go to change to C.D.L?? And how much for 1 year renew at JPJ? Enjoy the Raya break first. You can change your C.D.L. after Raya. A runner, driving school or you yourself can go to J.P.J. office. For Cars, the renewal is RM30 for 1 year. Do u mean that i can change my PDL to CDL at driving school? TQ. You can only convert your CDL at JPJ offices. I’m owning a ‘P’ license which is already expired.Is there any deadline to change to full license?I heard it’s 1 year. You have 1 year after your “P” expired to change into C.D.L. I have came across this “1 year grace period” in the jpj.gov.my website, but it doesn’t state whether we are allowed to drive. I am unable to comprehend your statement ” 1 year grace period”. What actually does it refer to? what happens if i fail to change my P- license to CDL after 1 year? Is there any way to avoid taking the exams again? Contact Putrajaya. Do Part I and II all over again. Regarding about license, I’ve renew my license from the post office. Must you require to bring the original expired copy along that has the picture with the renew slip or would the renewed slip would be good enough when travelling(driving)? Cause I believe I have not been able to find my original copy and I am only holding the renewed slip. What would I do if I need it? Go back to JPJ and request a new one? The copy with a photo is your original license. Having only the renewal slip isn’t good enough! If you can’t locate it, contact me again for further advice. My license expired last year, my citizen now has changed to singaporean. Can i still renew it via online? Thanks. I managed to retrieve my license information. 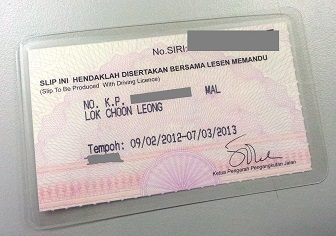 I think should be able to renew the license with my msia ic…. I have a Malaysian driving license with my picture on it (the original driving license) from 2001 -2003. My “P” License was from 1999-2001. After 2003, i have a renewal from the post office which of providing me with a renewal slip from year 2003-2008, and recently a second renewal slip which runs from year 2008 to 2013. You should now be holding C.D.L. license for year 2001 – 2003. 2003 – 2008 you have a renewal slip (5 years). You also have a renewed slip for 2008 – 2013. You could go to J.P.J. office to get a new license / new photo for your license 2008 – 2013. This would help certify the number of years you have been driving. Hi, I’m at present working in one of the Gulf countries & i’d just like to know which’s actually the license number as this translator I’m using t get my license translated into arabic claims otherwise than the one I believe is. Thanks for your reply in advance. My suggestion is that you include both (one in bracket) for the authorities perusal. Hi, I was staying in Malaysia till August 2009 and now shifted to France, I have a Malaysian License which is expired in September 2009. Can I renew it and if yes, what is the procedure? what documents are needed? You can try using the http://www.myeg.com portal to renew your license online. You can check with them if they’ll send to oversea. If not, get them send to your family or relative’s house in Malaysia and ask them to post it to you. Thanks for the reply. I just wanted to know that can I renew the license evenif I don’t have Malaysian Visa? Do I need to send my original license? and in the above website what should I put in category? I think you can renew the license even if you don’t have Malaysian Visa. You do not need to send your original license. If you’re a Malaysian, select the Citizen of Malaysia category. If you are facing problems with MyEG, please contact their support staff. Have you tried using the MyEG portal to renew your Malaysian license? Are you facing any problems with it? My license has expired for around 4 years. If i have to reapply to JPJ, what are the procedures and what do I need to do? Do I need to resit the tests? Your license has become null and void. Go to Putrajaya to see J.P.J. officials there. You have to resit practical tests – Part II (Parking / Slope) and Part III (Road Test). You will be given 60 days to sit for the above special test. Get a driving school or institute to assist you. thank you very much for your reply. i shall get to that immediately! Im not sure if i renewed my license or not…though im pretty sure i did… how and where can i check? I know this is an old post but I hope you can help me. I’m a citizen and have a Malaysian license which I believe (I’m not sure the copy I have is the latest) might have expired for almost 4 years. I have been in the US for the last 10 years and still is. I can’t recall if I did renew or not after that expiration, is there any way to find out? If it is in fact expired for 3.5 years, is there any way I can avoid starting the whole process all over again? I mean like proving that I was out of the country or something. If not, would it be possible to use my US license to apply for a new Malaysian one? Forget all about your Malaysian license. It’s beyond redemption. Get your US license certified by the issuing authority. Next, go to any J.P.J. office, preferably in Putrajaya to get it converted to Malaysian licence. Bring along, your identification papers, 1 colour photo and the original US license. Hi, I am a Malaysian holding Malaysia driving license. However, as I am working in Singapore, I will need to get a Singapore driving license to drive in Singapore. Would like to check with you if I need to surrender my Msia driving license to get the Singapore driving license? If yes, then can I drive a Msia registered vehicle in Msia using a Singapore driving license? A Malaysian holding a C.D.L. can apply for a Singapore driving license. You can get a certified copy of your Malaysian license in any state J.P.J. office for a sum of RM10. The above can only be submitted to Singapore authorities to get a Singapore license. Under Seksyen 29 (b) APJ ’87, the Malaysian license will then become null and void. A Singapore driving license can be used to drive a Malaysian registered vehicle in Malaysia. Hi there. What if my sister loses her license does she have to report it to the cops and can she renew it through the MyEg service still? No police report needed. Duplicate “L” issued at JPJ office only. Please take note “P” must be changed into C.D.L. not later than 1 year. In your case, your “P” has crossed the 1 year limit allowed. Please contact J.P.J. in Putrajaya for further advice. can i go back to my driving agency for help? As advised, go to J.P.J. in Putrajaya. Your driving school cannot help you. I symphatise with your problem. You could also engage a third party to help solve your problem. But find a reliable one. Regards “calls”, all official complaints are supposed to be in “black and white”. You could also use correspondence. But this would take too much time. So, this method is not to be recommended. I have recommended 3 – 4 ways which you could solve your predicament. It’s up to you to choose the one which suits your the best. Certainly. Australian licenses can be converted into Malaysian domestic licenses. Counter 12 or 13 of J.P.J. Selangor in Kampung Jawa, Klang, for instance, caters for such conversion. Other counters throughout the country should likewise have such similar counters too. I am a Malaysian holding a Singapore driving license. When I went to JPJ recently to apply for the conversion back to a Malaysian license, I was informed that I needed a letter/document from the Singapore Traffic Police. This document is not stated as a requirement for conversion in the JPJ website. Do you know what letter/document they are referring to? Thanks in advance for any help or advice you can offer. You need a confirmation letter from the Singapore authorities you have completed your contract there. As you said yourself, J.P.J. wants a document from Singapore Traffic Police. Either should be of use. My advice is, secure both of the above. Concerning J.P.J. web site, could it have been an oversight on your part? I had brought along items 1 to 4 to JPJ. 5 is not relevant as the Singapore license is in English. There is no mention of any document from the Singapore Traffic Police. Also any idea what sort of document is required from them (e.g. that I have a good driving record)? Hello Mr Yap wish to ask about my situation. I was working in Malaysia when i get my ‘P’ licence its going to expire in August 2010. Can i renew it eventhough i already change my passport? My passport details when i get my ‘P’ and my passport now have different details (year and place of birth but name is the same). Thanks for your help. As long as the name is the same, you will not have any problems whatsoever. I am a Malaysian but i have obtained probation driving license from Australia, i will be coming back to Malaysia in the next few weeks. My question, can i drive a Msia registered vehicle in Msia using a probation Australian driving license? Your Australian probational license can be used in Malaysia. Thank you for the reply sir. Can i convert Australia probation license to Malaysian P license? Probation license is not a full license. As such, it cannot be converted. I got my Australian driver’s license when I was studying there, and now I am back in Malaysia. I want to convert my license to a Malaysian one. Can I go to any JPJ office in PJ to convert it? Yes, you can go to any JPJ office to convert your Australian license into a Malaysian one. I have my friend which her P license is expired for 1 year and 20 days that she did not change to C.D.L. What do you recommend us to do? thanks. According to regulations, a P that has expired more than 1 year becomes Null and Void. Usually in such cases, JPJ require a person to sit Part I (slope, side parking and 3 point turn) and Part II (jalan raya) all over again. In case you are still unsure, do get a driving instructor to assist you. In this case.. can a Malaysian Licence (CDL) holder drive a foreign registered vehicle (e.g. Singapore) in Malaysia? Yes, Malaysian CDL holders can drive Singapore registered vehicles. Can i ask my friend to renew my 2 months expired license at post office? Just bring along old driving license, or need authorization letter as well? Yes you can. Just bring old license. No authorisation letter needed. My license is expiring on July 10. I have just been sent on an overseas assignment at work and will not be in Malaysia until Aug. Is it possible for me to renew it online at MyEG and then have someone else at my residence sign for it when it arrives? Or do I have to personally sign for it? I refer back to Joseph Ooi’s question and would just like to confirm the answer. If I ask my mother or husband to renew my license at the post office while I’m away, all they need is my old license? What about my MyKad? Are there any forms that need to be filled up and can I get them online? Is driving license renewal available at all post offices? Yes, you should be able to renew you license online with MyEG. Yes, someone else at your home could sign for it. You can also get someone to renew you license at post office. For the above, only you old license is required. MyKad not needed. No forms need to be filled. Only selected post office offer renewal of license service. My license expiring in January 2011, but I want to convert to international driving license in August 2010 (need to drive in singapore after that). heard that international driving license need to have at least 1 year before expiry, so can i renew my license (which is still 4 months to expiry) now? how? Your P cannot be converted to IDL. If you want to driver in Singapore, your present P should be acceptable for use there. i’m in Australia now and they need me to prove that I have been driving for more than 3 years. My newly renewed license doesn’t state when I 1st got my license. How can I get the letter or proof? I can actually check online and it does state there but then everything is in BM. Please help. Tx. Try write to your JPJ state office for your letter of confirmation. Might take a while though. The, have the letter translated. My Fren has Indian driving license and he’s currently working in Malaysia. Can he used his Indian driving licence here? If the license is not acceptable here, what is the procedure that he must do? is there any supporting document that he must bring to JPJ? Indian license is usable in Malaysia. Ideally, have it translated to English or Bahasa Malaysia. No, I am not a JPJ officer. Thanks for your comments though. J.P.J has lots of work to perform. Try to be understanding with them. Does it only applicable for 3 months only? what happen next then? have seen the Indian license and it written in English, but they dont dare to drive here due to 3 month rulling. Or maybe just advise them to JPJ counter by bring the existing Driving License, Passport and visa. is it? Yup, really know them very well..work with them. After expiry of 3 month period, and if you want to continue driving, then you have to take steps to test and get a Malaysian driving license. when i renew my driving Licence, it has been include in my MYCARD. thus, i do not know when is my expire date. how could i check this out? U may check your expiry driving licence date here :- http://portal.jpj.gov.my/ there’s a link for u to check. Your advise to Fang is most appreciated. So also you provision of the web site. Regarding about license, i wanna to renew my malaysian driving license valid until 15en july 2010. Before your question can be answered, please state category of your license. P or CDL? Just walk in to nearest JPJ branches or POS Office..easiest way..just do it online at http://www.myeg.com.my payment via credit card or e-banking.. Your advice to readers, most appreciated. Regarding to the license, i already renew my license at MyEG website, but they havent send it to my house.Can i directly go to any states post office or JPJ office to take my renewal license. if yes, then any documents or receipt required? One more thing, how long it take to get a certified copy of Malaysian license in jpj office that needed for license conversion purpose? Can be done within a day? Call MyEG office again to ask why the delay. Post office and JPJ have nothing to do with your renewal. Normally a certified copy of Malaysian license normally costs RM10. It might take a day, at least. Yup..just call them to check your license status..u may contact them at 03-7801 8888..if couldn’t get thru just drop an email to help@myeg.com.my They response it accordingly then.. I am working in singapore and my Malaysia driving licence has expired for 2 years. Can i still renew it?? where can i do it?? Malaysian licenses expired less than 3 years can sill be renewed. The above can be renewed at any state JPJ office nearest to you. It can also be renewed at most post offices. Thanks. I have renewed it through MyEG website and waiting the new licence to be sent over. Good for you. Glad all’s ok.
Where is your original license which has a photo on it? That’s the license you should possess. MyKad only has records of your driving license. As long as police has not liased with J.P.J. to blacklist you, you can get a 6 months or 1 year road tax. Thanks for the article. It helps! I am living in Australia and my Malaysian driving license has expired on 24/11/2007. Since I would not go back to Malaysia within a year, just wondering if my family receive my renewal slip this year, is there any time limit to load it in MyKad? Can I load it in MyKad when I go back sometimes 2011? Your license which expired on 24/11/2007 unfortunately has become null and void. Contact the JPJ authorities who will the advise you what to do. Particulars embossed into MyKad is only for you information. It is not valid to be used. When you renew with MyEG, the renewal slip is provided. Attached it to your original license to show to the police. It’s valid. If you want a one piece license, go to any JPJ office. Hi Cikgu Yap, I have applied for Singapore license using Malaysian license about 10 years ago. I have friends doing the same but they are still continue renewing their malaysian license at POS Office in Malaysian but I have forgotten to do so for mine & it expires on 13/2/2007. What should I do now? I am still staying in Singapore now & driving a Singapore car now. I see your earlier reply on similiar issue of applying for Singapore license that under Seksyen 29 (b) APJ ’87, the Malaysian license will then become null and void. Why POS office still allow such people renew their Malaysian license? You needed renew it. It has become null and void. Refer to Christine, i also have convert to Singapore license 1 year ago and my Malaysia license has been expired on July 2010. Do you think i still able to renew my malaysia license at JPJ or pos office? If really able to renew at pos office, should be recognize by JPJ, rite? Hope to received your advise. As far as I am aware, by converting your Malaysian license to Singapore driving license, your Malaysian license no longer needs to be renewed. Give up your Singapore license when you no longer need it to get back your Malaysian license later. However, you could always check up with the JPJ for clarification. I am living in Dubai now. I am holding Malaysian ”P” license valid until this coming October 2011. Is it possible to renew my license to full licence before the expiry date? Do you need my original pasport or just the copy, is it posible if i ask my friend to renew it? Could you please advise regarding this matter. Thank you. Normally, P cannot be changed to full license before due date. Yes, a friend can change the license for you. I was glad that i found your ‘chamber’. The informations were very helpful to me. But i still hv question to ask. Briefly, i’m holding a ‘P’ license for B2 & D class and will be expired on 1/10/2011 (for both). Last year i got parking summons for B2 and speeding summons for D, which i had settled it within the stipulated period. Early this month i got another summon for the D for not putting ‘P’ sticker. On the summons the JPJ’s officer wrote that I need to attend before Magistrate on 18/8/2011 but the offence is compoundable and I need to settle it on or before 18/7/2011. My understanding is if I settle the summons on or before 18/7/2011, I do not need to attend before Magistrate on 18/8/2011 but my worries now is of course the issue of suspension of my ‘P’ license. Should I attend the magistrate court instead and delay the matter until I can convert my ‘P’ to ‘CDL’. Secondly, my understanding upon perusing your comments stated above, when ‘P’ license holder settled their summons within time period they will not get any demerits, so is it correct to say that for the last year’s summons I have no demerits as I had settled it within time so is it also prudent to settle my new summons on or before 18/7/2011 to avoid from getting any demerits. What is you view on this. TQ in advance. The problem with your summons is that you have 2 separate summons. The speeding summons, if over 40 km.h, may get your demerits even if it is settled. However, your summons for not affixing P stickers, might likely save you from getting demerit points, as their latest decision was made whereby those who settle their summons early will not be affected by demerit points at all. Yes, it’s correct. You have to follow Malaysian rules and regulations whilst here. You can drive here for a reasonable time. My license expired on 3-Feb-11 and I renewed it on 19-May-11 via myeg. I have received my CDL Renewal Slip and it says “Slip To Be Produced With Driving License”. What driving license? The one that has expired? Am I required to go to JPJ office to get my actual driving license? You should have in your possession the original license which has a photo on it. Attach it to the renewal slip issued by MyEG. 1) Can I convert my Australian driving licence to Malaysian licence ? 2) Do I have to give up my Australian licence upon conversion ? Yes, you can certainly convert your Australian license into Malaysian driving license. I don’t think the Malaysian authorities have any right over your Australian license though. I had 1 issue, which it makes me feel curios, my driving license is expired already, thus i want to renew it. But, i had 1 sign summon for my motorbike. The question is, can i renew my license or not? Because i need to used my car daily. Most probably not yet updated. You can pay up summons and also renew your car license for time being. Online renewal process is quite good and remove lot of troubles. I’m a foreigner and have P License 3yrs back but already expired. Can I use my country’s driving license if I want to drive for 1-3 days in malaysia? Licenses from most countries can be used in Malaysia for 120 days. See to it your license is valid. If P is not renewed after 1 year of its expiry, it becomes null and void. My CDL is 5 years-old (09/06/2008 – 08/06/2013) and i have approximately 6 months before my license expires. Can i renew my CDL before the end of 2012? What will happen if i renew my license 6 months before it expires? A CDL expires after 3 years. You can say your license ends on Jun 13. It’s possible to renew your license 6 months before the due date. Contact JPJ. I am a Malaysian currently living in Australia. My renewal slip expired on the 29th March 2012. I will be going back to KL next month just for a holiday and want to renew my license. How long will it take to renew it and what will I need to provide? I understand from all the past posts that I need to go to either JPJ or post office to renew it? In normal circumstances, renewals can be done in half an hour. Supply 1 copy colour photo at JPJ offices. At post office, only renewal slips are given. I am one of the foreigner stay in Miri,Sarawak ,staying hear for since 1991 until now even my Malaysia Driving License also same since 1991 ,yesterday morning I want renew my Driving license at JPJ Office in Miri,Sarawak because my expire date will be before end of this month ,my self understand that now Malaysia Government set up new system for Driving license no more old system but yesterday my self enable to renew according to Officer inform me I need to wait for approve from KL H/Q but I don’t know how long need wait because if I going to my work I have to use my own car if without Driving License how to going down to work ? The Most importance is your comment I’m not too close to JPJ staff follow the regulation only. If that’s the JPJ’s directive, you’ll have no choice but follow it. Good day, I have renew my license using myEG because the nearest JPJ around having problem with their machine and just receive the renewal slip today. I am worried that even until my expire license date came around, the machine still unable to use. Since driving license need to change into high-end license, so I just need to bring my renewal slip to JPJ anytime then since it is already renewed. 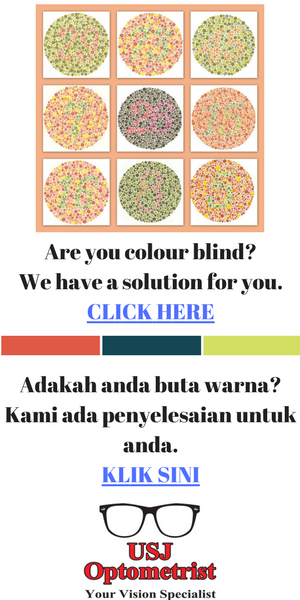 JPJ needs you to get an official computerised payment slip from MyEg. Hi, I am glad to find this site. I had lost all my Malaysian driver licence (I am a Malaysia citizen) in Dec last year when I travelled. I have moved to Canada but will go back to Malaysia for a month and will need to drive. My lost license is expired in 2017. Can you advice how I can go about it without asking my family member to help (I don’t want to trouble them)? Can I go myeg website and apply for renewal via online? Your license has unfortunately expired. You’ll have to do a special retest. Contact JPJ Putrajaya for advice. Thank you Cikgu Yap. I had renewed my licence in 2012 and the card (without photo) said it is expired on 14Nov2017. So why you mentioned it’s expired? Dear Titi, Sorry to have given you wrong information earlier. Duplicate license can only be done at JPJ offices. Dear Titi, Try to get hold of Form JPJ 1, sign it, then hand it over your family members to facilitate duplicate licence! 1. What documents do I need to bring to convert my p license to cdl? What is the size, background color, copies of the photo? 2. Once i have my cdl, can my family or friend renew the license for me as I will be studying overseas? Regards photo required, ask photographer. Your family can renew your CDL in future! Need your help. I went to the website and tried to find a car liscence renewal link at the top right but it is not there, how can I renew my car liscence online, please advise as my liscense is expiring soon and I am currently not in Malaysia to renew it. Thank you. Try renewing with MyEg. Ask them to send your license to your overseas address. I will be going to US end of August, and I want to drive there as soon as I arrive. However, I am holding a P licence that will expire in January. Can someone back in Malaysia convert my PDL to CDL for me and then send it over to US by post? Do I need to get a US licence to drive there? Can I drive with a PDL in US? Only P can be used in US, not an L licence. my P licence expired on July 24 2014..i haven’t renew yet. .can i know how long is the grace period? You can renew it. The grace period is 1 year. I am currently in Brazil and my driving license has already been expired since 16/08/13. I wish to renew it but have no idea how to do it. can I renew it online? P expires if not converted to CDl after 1 years. CDL lapses if not renewed after 3 years. Hello Cikgu Yap, recently received Notis Polis 170A ; apparently for Kesalahan No.2 – causing unnecessary obstruction on a road. Well, I parked my car by the roadside with a single white line. There was no No Parking signage or yellow line(s). To me this Kesalahan No.2 thing is kinda ambigious ; it is up to the officer to interpret. Did my parked car actually caused the traffic to be stucked and not moving at all ? What constitues an obstruction ? People have parked at that road for years without any incident, and suddenly this Kesalahan No.2. I called the IPD, but was told that all roads, including those in taman-taman perumahan, are not supposed to have parked vehicles, even without No Parking / Yellow line signs. Well, if this is the case, then I guess my stupid question would be this ; why the need to put up No Parking sign and draw yellow lines when no one is supposed to park on any road at all ? Almost argued with that police fella on this logic. Anyway, hope Cikgu Yap can enlighten us all. Many thanks. The authorities can cite you for obstruction if they feel so. That’s their prerogative. Looks as if nothing much you can do. 2. Do you think I can convert this malaysia driving licence to singapore driving licence now? Answer to all your question is YES! Malaysian licence still valid. i’m Malaysia citizen , my drive licence already converted to Singapore licence , but now i study in dubai , need to convert to dubai licence , what can i do ? Dear Jason, Dubai authorities should accept your licence for use for a resonable period of time. is malaysia licence or singapore licence ? I am a malaysian and currently I am holding a singapore driving licence. If in future,I went back to malaysia. Did I need to convert back my singapore driving licence to a malaysia driving licence and can I directly proceed to jpj office to change it back.What if I didn’t convert back my driving licence??? Ideally, convert back to local license at any JPJ office. Get certain documents and certification from Singapore Road Transport Department. I want to renew my Malaysian probationary driving license (PDL), however I am not in the country, and therefore cannot visit the next JPJ office. What can I do? Is there any way to receive a renewal slip stating that my license is renewed so that when I go back to Germany in February I can do whats necessary to convert it to a German license. Or a paper confirming that I have a license. Please can you help me, since I do not want to redo everything again and time is limited for me to fly to Kuala Lumpur. Looking forward to hear back from you as soon as possible! Looks as if you have a poor understanding of licenses. PDL is a temporary license, hence cannot be converted as you so wish. I understand that I cannot convert my license directly into a German one, I still have to do the practical and theoretical test, however I don’t have to do everything again. Therefore it is important for me to receive a renewal slip from the JPJ office, however I am not in Malaysia. What can I do?? Is there no way to get a renew slip for my PDL license via Email or Post, so that when I do my license in Germany I have proof that it is now extended. Try writing in to Road Transport Department regarding your request. Hope they will oblige. I have a P drivers license which expires on the 28th of February 2015, But I’m going to Australia to study at the end of December 2014. Can I send my license back to my family while I am in Australia so that they can convert it to a CDL license at the jpj office for me? Or must I be present at the jpj office for thumbprint scan or anything like that? Family and friends can help you. Hi Cikgu Yap. I’m looking for a school in which I can obtain a driving license for auto cars. I live in Petaling Jaya. I have tried contacting a couple of major schools in the area but none of them have auto cars so far. Any help on this is much appreciated. Thank you! Try contacting Metro Driving Academy. Why Malaysia driving licence is not being approve in other country like australia and singapore? You must be referring to Malaysian licences being converted into Singapore or Australian ones. The ‘right’ of conversion lies solely with the above countries themselves! May I ask if I want to upgrade my P license to full license, can my friends or family do on behalf of me because I’m not in the country. Am I need to pass all required documents to them? Documents must be original copies? Must do in JPJ office? Yes, friends/family can assist! Photostate usable. JPJ or post office possible to do conversion. Ask your friends or family member to help you renew it. No online option available. My P license will be expiring soon next month, I just want to ask do i have to bring a picture of myself or any other documents? And also what kind of saman will not allow me to proceed with my license renewal? Summons will probably prohibit you renewing. You’ll need a photo too. Through all the posts mentioned above, I’m quite sure that parents can renew your p license on your behalf if you’re studying overseas? The thing is when my dad went to jpj they rejected it and say that they need me in person as it’s a P license. I’ve also email them for verification , it’s been the third email but still no reply. Can you please please kindly advice what else can I do? Thank you in advance. Im a forerigner from South Africa, i used to study in malaysia. I had my P license, but expired in June 2013 and also got lost during an accident. I need to convert it to CDL. What documents do i need to send my friend in malaysia in order to convert it for me? Your P expired. Do retest! My probabitonary liscense (P license) expired so I hand over my license to a driving school to do the renewal. It costs me 165 ($15 = gaji). But when I went to collect my license, they say I need to pay $15 more because my p license has been expired for more than a week. Do I really need to pay that 15 bucks? From what I remember, I don’t think my p license has expired for more than a week.. I think it was just 2 or 3 days after the expiry. My probationary license is expiring by this friday. Can i renew it 1 day before the expiration date or do i have to wait until it has expired? My son is working in California now and he recently applied to renew his CDL through MyEG. But this duplicate license without photo has been lost during postal delivery. Please advise me what he can do to renew his CDL. He shall come back in late May this year. Must he report to the police about the loss? Get a new CDL here personally at any JPJ office. Supply new colour photo. I need to covert my PDL license to CDL but i recently lost it ,do I need to make another PDL license to make a CDL license? Photostat PDL required to make CDL. My wife’s driving license has expired by October 2012, and she wish to renew it now. Can be done? The thing is, she no longer hold a Malaysia IC, as she is now a Singaporean. Passed license expires after not being renewed for over 3 years. IC shouldn’t be a problem though. I am a British and have a Malaysian driving license. It has expired last month. All this years I have been renewing it at the post office but this year I was told I have to go to JPJ to get the new kind of driving license. Can you let me know the procedure and what I need to renew it? I will be back next month for a few days so what do can you suggest I do? The directive is correct. Go to any Road Transport office. Bring your original license and one copy colour photo. You can renew for 1 – 5 years. Thank you for the sharing about the renewing driving license, really helpful. Your renewal will begin from 15th Dec onwards. Our company is going to hire truck driver in the near future for our new warehouse. Is GDL required even the driver has license E? We want to hire drivers who can drive 4/20/40t truck. My boyfriend has a P license that haven’t change to CDP for few years due to outstation. From my understanding, he needs to contact Putrajaya to redo his Part 1 & 2 test. May I know what number or where exactly to look for the officer if he wish to do so? Or can he contact his nearest driving school to ask them to let him do part 1 & 2 test? I am a P License holder. Lately my brother have been using my car (which is under my name) and found out that I had 3 speeding fines issued when I log into myeg. I’m afraid that my license will be suspended. Is there a way to solve my problem? Would be really grateful for your advice. I am a P license holder and now currently living and working abroad. In your post, you have mentioned that to renew a P license, it’s not possible to do it online and would need to refer back to JPJ. Three weeks after getting my license, I moved to Spain and didn’t really had the chance to drive in Malaysia, thus I do not think I have any fines. I don’t think it would be possible for me to return to Malaysia just to renew my driving license since I’m working, I wonder if you know how I could go about on renewing my driving license from overseas. My license will expire in August, so for now I would like to prepare myself if there is no other choice but to return to Malaysia. Just send your P license back to Malaysia. Ask a family member or a friend to renew the license on your behalf. I have yet to receive my Renewal CDL from Myeg, they say it will be sent tomorrow. I am travelling to Perth, Australia tomorrow. And ill be driving. Can i use a receipt from Myeg as my renewal license? You can ask a family member to send your renewed license to you in Australia. My P license is going to expire next year, and I just came back from Australia and I left my IC back in Australia. Could I still renew my driving license? There is a grace period of 1 year to renew your PDL to CDL. You can do your license conversion when you get your IC back from Australia. hai , can i renew my license earlier 2 days from the expired date? …. Biasanya boleh. Tapi mesti ada sebab-sebab yang munasabah. Thanks for the heads up. I’ve made an update to the article above. I am a foreigner with a Malaysia ‘P’ Driving License due to expire end of Aug 2018 (from Sep 2016). As I am now studying overseas, I am unable to return to Malaysia to obtain the new license (that is, no record of traffic offenses). Is it possible to send my current due to expire ‘P’ license back to Malaysia for a third party to obtain the new license on my behalf and if so, must this be done at JPJ office or can it be done via post office. Is a photo and photocopy of passport (or any other documents) be required for this purpose. I am holding my expired Singapore Driving License (Expired date 17 Jul 2018) and my Malaysia Driving License expired 27/1/2015 . Since I am not working in Singapore now, so am I able to reapply my Malaysia Driving License without walk in to JPJ in person. Because I am out of Malaysia for long term .